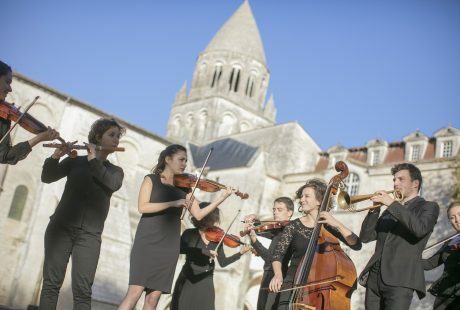 The Abbaye aux Dames is the musical centre of Saintes. 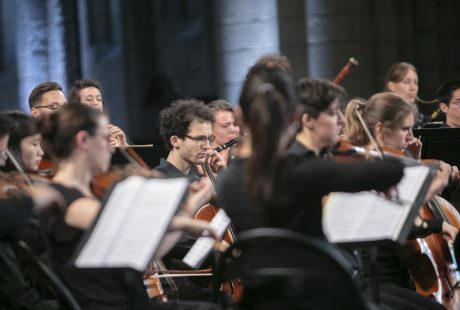 Our desire to pass on our love of music naturally led to the creation of the Jeune Orchestre de l’Abbaye (JOA – the abbey’s youth orchestra). The JOA offers professional training that is unrivalled in Europe. 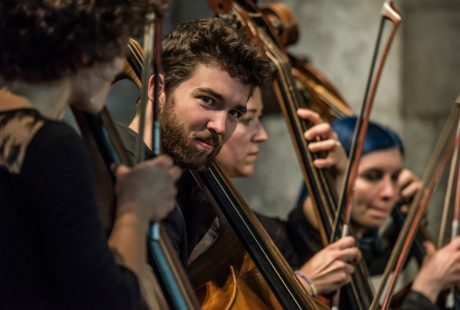 It enables young musicians finishing their studies or just embarking on their careers to interpret classical and romantic pieces using period instruments. 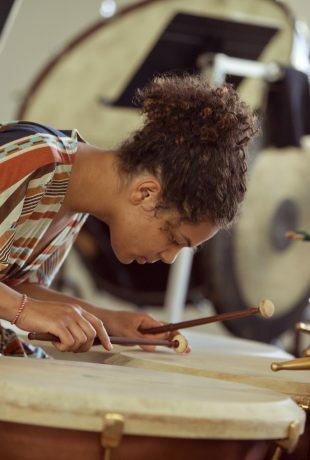 The JOA provides young musicians with both training and an entry into the world of work. 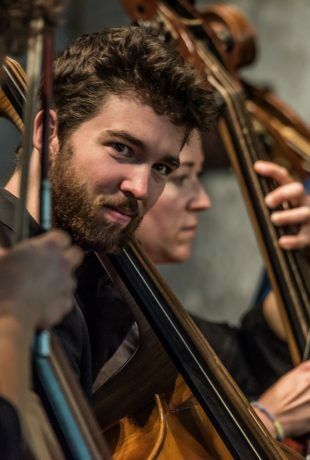 It offers them an authentic experience of the stage, as well as the opportunity to forge artistic bonds. The intrinsically cosmopolitan JOA has now existed for over twenty years. It has never faltered in its pursuit of excellence. 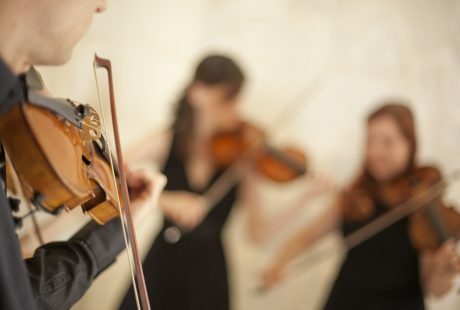 The Music: Research and Ensemble Performance of Classical and Romantic Orchestras Master’s is open to young musicians* just embarking on their careers and who wish to specialise in classical and romantic repertoires using period instruments. and research classes provided by the University of Poitiers. * Musicians with a university degree, a Diplôme National Supérieur Professionnel de Musicien (DNSPM – Higher National Professional Musician’s Diploma) or a bachelor’s degree. Find out more about requirements for applicants. 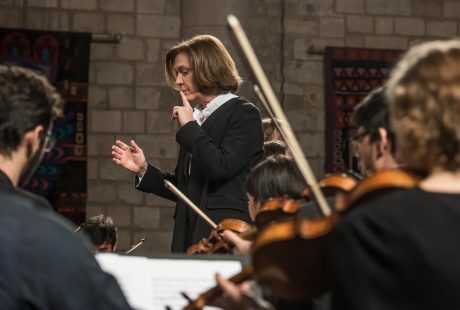 Charismatic conductors committed to teaching classes The Abbaye aux Dames enjoys a privileged relationship with great conductors who attend the Festival de Saintes. We invite these conductors to take classes. Philippe Herreweghe, Jean-François Heisser, Marc Minkowski, Laurence Equilbey, Jos van Immerseel and Christopher Hogwood have thus taught classes. 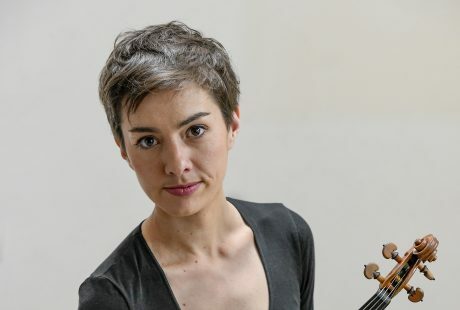 These conductors, who are well known for their work on their repertoires, have very personal ways of interpreting musical works, offering pupils varying viewpoints. The conductors who teach classes often conduct orchestras themselves. During training, they can detect young musicians. 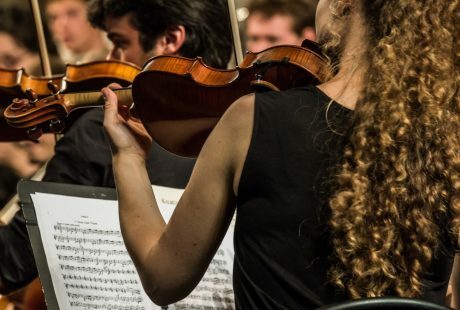 A way into the profession, a central goal Some of the major goals of our training are to have pupils work in a professional environment, offer them a direct, tangible link with the world of work and broaden their knowledge of the evolution of orchestra practices.